Arsenal boss Unai Emery has tasked Danny Welbeck to have his best season yet in the Premier League – and he could even end up playing at left back. Welbeck is out of contract at the Emirates Stadium next summer and Emery wants him to show why he should be in his plans. 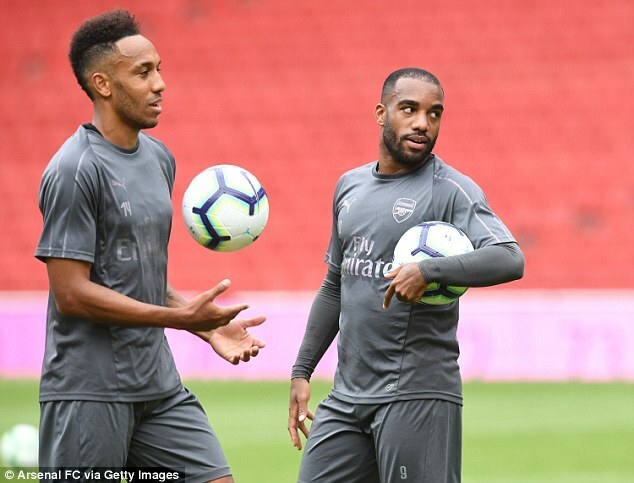 The new Arsenal boss is a big fan of the 27-year-old and has sympathy for him after a number of injuries have restricted his playing time since joining the club in 2014. But with the striker not guaranteed a new deal next season, Emery has already been testing him in a number of positions so that he can be called on when needed. 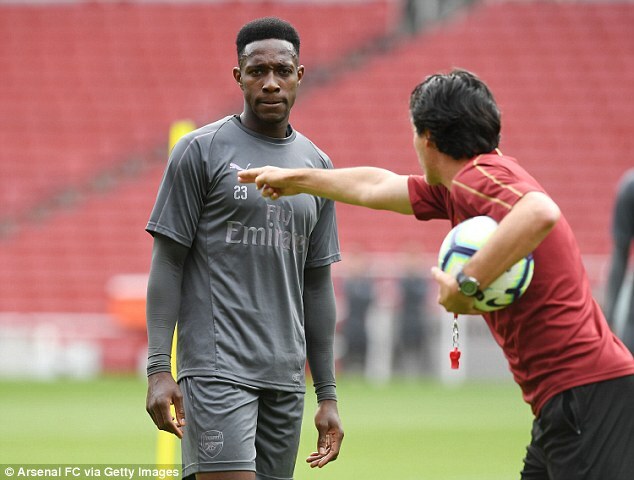 Emery held a meeting with Welbeck after he returned from holiday after taking an extended break following World Cup with England in Russia. It was then the former Paris Saint-Germain manager set out his demands of Welbeck. He added: ‘I said to him when he arrived with us after the holidays, I want the best performance in his career from this player. ‘And work for that. And then the possibility to play as a left winger, right winger or striker. ‘Helping with his quality and also getting better with his quality and his data in this year.